Pgh Momtourage: Family Getaway - 39% off! 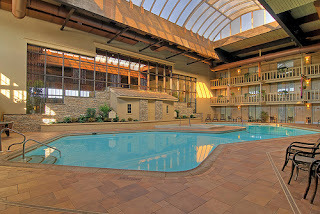 Check out this awesome family getaway only 4 hours from the Pittsburgh area ...WELCOME to The Eden Resort in Lancaster, PA!! Sign up for a free account from certifikid.com to snag this deal, only available for 1 week! Head here to purchase! With all of these activities to choose from, your whole family is sure to be entertained 24/7. The next dilemma...how to feed the gang?? The Eden Resort has you covered! In their two eateries, you'll find everything you could ever want - even for the most picky eater. Snag this deal and get a $25 food credit to use in any of their restaurants. And - BONUS! - Every time an adult eats in one of The Eden Resort's restaurants, UP TO 2 KIDS EAT FREE off the kids menu! Whether you prefer to spend quality family time together enjoying the The Eden Resort's endless family-friendly amenities or explore the nearby attractions and surrounding countryside, The Eden Resort will be your perfect "home base." Additional nights may be purchased at this special $99 Certifikid rate. Important Note: If you would like to purchase add'l nights at this rate, you must purchase each add'l night separately through The Eden Resort website reservation portal. If you try to book more than one night in the same reservation through The Eden Resort website reservation portal, the price reflected will be higher than this special Certifikid rate. PA State & Local Tax of $9.59 will be added upon purchase. After taxes, the one-night total is $108.59. This deal is for purchase directly through The Eden Resort's website. When you click the "BUY" button to purchase this deal, you will be redirected to The Eden Resort website reservation portal. You can check their calendar for availability and complete your purchase directly through their website reservation portal. Please contact The Eden Resort at (717) 569-6444 with any questions. Please be sure to mention that you are inquiring about the Certifikid package. This offer is only available for purchase through Certifikid (www.certifikid.com). If you experience any issues or difficulties with registering or purchasing, please email info@certifikid.com and we will get back to shortly.